It is no secret that many women feel shut out of top jobs in collegiate athletic departments. Many of the schools who compete at the top level of the NCAA have female assistant athletic directors in charge of women’s sports; but there are few women, such as Debbie Yow at North Carolina State, who actually head the entire athletic department. The University of Tennessee is unique in that it has a largely autonomous athletic department for women, a result of the fantastic success enjoyed in basketball by Pat Summitt over a period of decades. Pat Summitt, former University of Tennessee women's basketball coach. There are two important court cases currently being litigated in federal court that may shed some light on the conflicts between the traditionally male-dominated field of athletics and women who are pushing to be admitted into the game. One involves a lawsuit filed by former women’s media relations director, Debby Jennings, against the University of Tennessee, its athletic department and various school officials. The suit alleges age and gender discrimination and retaliation. 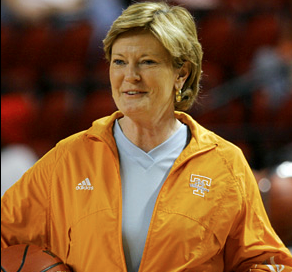 In early October, news outlets reported on an affidavit filed in that case by Pat Summitt. Summit discussed a March 14, 2012, meeting she had with AD Dave Hart. Hart allegedly told her she would have to resign after her 38th season because of the impact of the early onset dementia, Alzheimer’s Type, that she had disclosed in the summer of 2011 she was suffering from. Summit said that Hart later met with her and said she had misunderstood him. That meeting is important because after Summitt told staff members about it, Jennings sent an email to Hart and other university officials criticizing the forced retirement and stating that it was unfair and may have violated federal law. Jennings alleges in her lawsuit that after this, she had most of her job responsibilities taken away and given to younger men. In May 2011, she alleges that Hart told her that she could resign, retire or be fired (she retired). She believes this all stems from her support of Summitt. The affidavit by Summit was submitted as part of pre-trial discovery in the lawsuit. Ms. Jennings is asking for $4.5 million in lost wages and benefits and $5 million in punitive damages. A second, similar lawsuit is unfolding in Savannah, Ga. Marilynn Stacey-Suggs is the former athletic director at Savannah State University in the coastal city. The institution is a historically black university. Stacey-Suggs has filed suit against the Georgia Board of Regents, which oversees the operations at the school. The suit alleges gender discrimination against her and retaliation in firing her after she opposed taking actions that she alleges were themselves discriminatory. One of the named defendants is Dr. Cheryl Davenport Dozier, university president. Stacey-Suggs was a longtime employee of the school. She served as interim athletic director, senior woman administrator (SWA); she was promoted in January 2010 to the position of athletic director. She was at the forefront of the school’s move to Division I in athletics. She also was involved in helping the school reduce its athletic department budget deficit. According to her lawsuit, in March of 2011 the school hired Damon Evans as a “consultant” to the athletic program. The suit alleges that he quickly began running the department behind the scenes. Following some complaints from Stacey-Suggs, Dozier fired her and replaced her with Sterling Steward, Jr., despite the fact that he had fewer qualifications and less experience that she did. It should be noted that Evans had been fired as AD at the University of Georgia a few months earlier after being arrested in suburban Atlanta for drunk driving while having a 28-year-old female, partially unclothed, in the car with him (not his wife). After she was fired as AD in July 2011, she was re-hired as associate director of student development, a much less prestigious job with significantly lower pay. Stacey-Suggs filed a complaint with the Equal Employment Opportunity Commission (EEOC) on Dec. 28, 2011. She alleges that the school retaliated on June 18, 2012, when she was told for the first time that her new position was only “interim” and that the school was actively searching for someone to fill her role on a permanent basis. This lawsuit was filed under Title VII of the Civil Rights Act, the equal protection clause of the 14th Amendment, and the Equal Pay Act. Among other things, it seeks to have Stacey-Suggs named as the permanent person for her current position at the same salary, benefits and seniority as she enjoyed as athletic director. Tennessee’s athletic director, Dave Hart, has been on his current job for less than a year. He came from an assistant athletic director job at the University of Alabama. Many in the Knoxville community believe he was brought in to “rein in” the women’s athletic department. Many supporters of Summitt have felt that the male network in Tennessee athletic circles has long felt threatened by the power held by Summitt. Many professional women are concerned that opportunities in athletic administration at the college level are shrinking. They point to the scandal at Arkansas last spring involving former Razorback football coach Bobby Petrino. Petrino had an affair with a 26-year-old woman whom he had hired to work as an aide in the football program, alleging getting her hired over other more qualified applicants. The argument is that women are till treated as objects and that there is indeed a glass ceiling in college sports administration. It is worth noting that neither of these lawsuits attempted to cite Title IX as a basis. The language of Title IX does not limit its application specifically to sports and athletes, although that seems to be what has happened with litigation over the past 40 years. It has been about 30 years since the NCAA recognized the potential for women’s sports and began sponsorship women’s championships. This move quickly put the AIAW out of business. Close to half of all student-athletes over the past quarter century at NCAA schools have been women. Yet women coaches for women’s sports are in a minority and there are relatively few women administrators in athletics. The two cases mentioned here today should be closely watched, because it seems likely that a lot more litigation will follow if the plaintiffs in these two cases are successful.